The UN Millennium Development Goal 4 seeks to reduce the global under-five mortality rate by two third by 2015. According to a new report from UNICEF, World Health Organisation and The World Bank and U.N, the estimated annual number of under-five deaths has fallen from 12.6 millions to 6.6 million from 1990 to 2012. Due to more effective and affordable treatments, innovative way of delivering important interventions to the poor and disadvantaged, 17000 fewer children die each day in 2012 as compared to the high child mortality rate in 1990. Despite the global progress in the reduction of under-five death rate, child survival remains to be a serious concern. It is estimated that with the current trend in the reduction of child mortality rate, Millennium Development Goal 4 will only be achieved by 2028. The major causes of the death in children under five are preventable diseases such as pneumonia, diarrhoea or malaria especially in sub Saharan Africa and South Asia. Child mortality rate is related to a number of factors such as access to healthcare services, neo-natal care awareness amongst mothers, low family income and poor facilities for clean water and hygiene. After engaging with the challenges of preventing children from preventable disease through medical intervention, the next challenge in reducing child mortality is to eradicate poverty and build capacities of disadvantaged communities. This requires long-term global commitment and determined efforts to bring about fundamental reforms in the affected countries and to achieve tangible results. Muslim Aid’s development projects in healthcare, education, water and sanitation, microfinance and skills training contribute to the global effort to save children’s lives in different parts of the world. 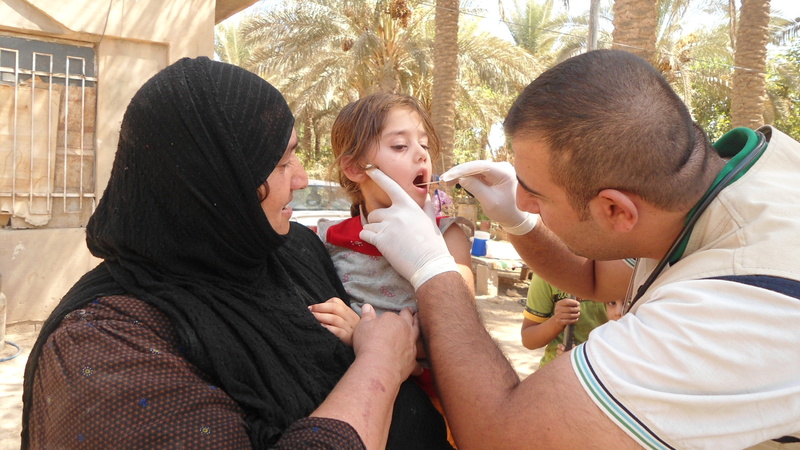 In 2012, Muslim Aid Iraq operated mobile clinics in Al-Gurtan and Al-Mada’in neighbourhoods in Baghdad. These clinics were set-up to serve vulnerable, IDPs and returnee children under the age of 5 and benefitted around 500 children. Muslim Aid also established community hospitals in Kulaura, Pabna and Pirojpur districts of Bangladesh which runs maternal healthcare programme in different parts of the country.